The sewer network is one of the essential infrastructures of a city. Its characteristics – a very wide underground grid of pipelines and galleries, frequently narrow and worn out – along with the presence of big amounts of waste, yield a hostile working environment. Automated collection of data in an environment of this nature is a complex task: in many points of the sewer network the ground is highly irregular and full of obstacles which, combined with the high levels of wastewater and litter, impedes greatly the operability of terrestrial vehicles. 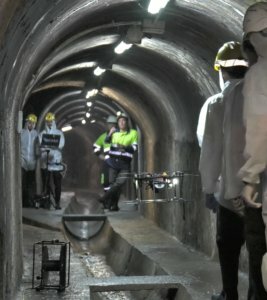 The use of a Micro Aerial Vehicle (MAV) for inspection tasks in the sewer avoids the mobility constraints from which a ground robot would suffer, such as paths with steps, steep drops and even objects in the way. Additionally, a flying platform is able to move faster through the sewer network than the terrestrial alternative and needs simpler logistics in deployment and operation. On the other hand, a MAV solution has to overcome strong constraints of size, weight and energy, as its flying space is bounded by sections less than 100 cm wide. Therefore its size, and consequently its payload, are limited to minimal dimensions. Optimal layout of the payload on the platform, (embedded PC, 2D laser scan, multiple image sensors, LED lights, gas sensor and antenna) which minimises the weight and energy requirements. Localisation and motion planning methods in GPS-denied environments. Careful design of the image sensors and their configuration in order to ensure a detailed view of the whole section for structure assessment and defect detection purposes. Use of the morphology of the sewer network to enable out-of-sight communication. Integration of the mission planner within the operational software of sewer maintenance companies. 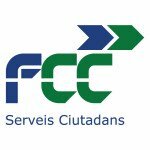 Currently the project is in phase II, during which all the aspects of the solution will be developed and validated to ensure a complete solution for robot-assisted sewer inspection.